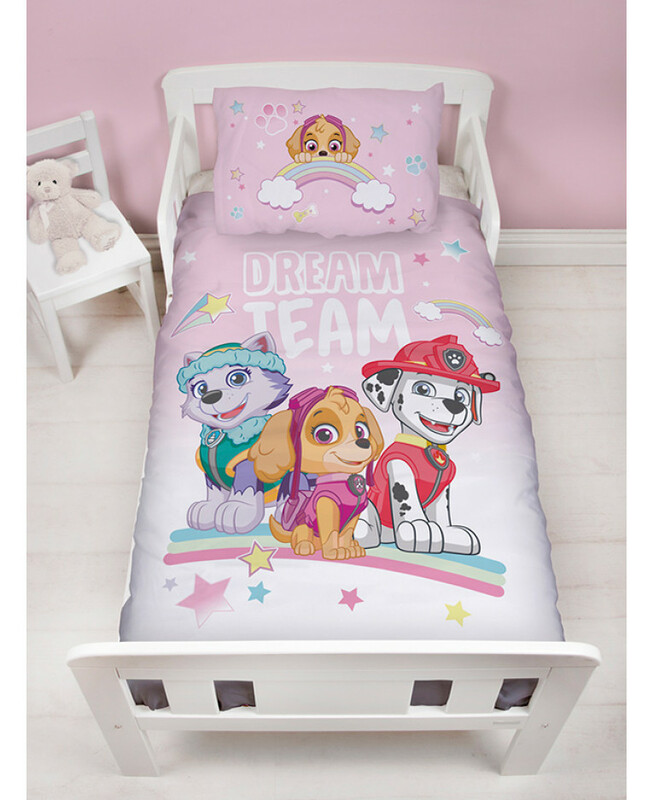 This official Paw Patrol Pastels junior duvet cover and pillowcase set is a must for any little Paw Patrol fans! 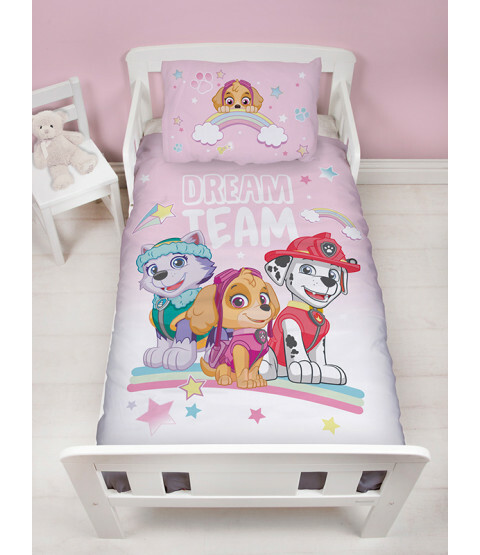 The pretty duvet cover design features Everest, Skye and Marshall on a pale pink background patterned with pastel coloured stars, with Skye on the pillowcase. This bedding set fits most toddler and cot beds and can be machine washed and tumble dried on a cool setting.